Bright light for desktop or music stand. Based on our popular LED202, the LED204 adds intensity adjustment. 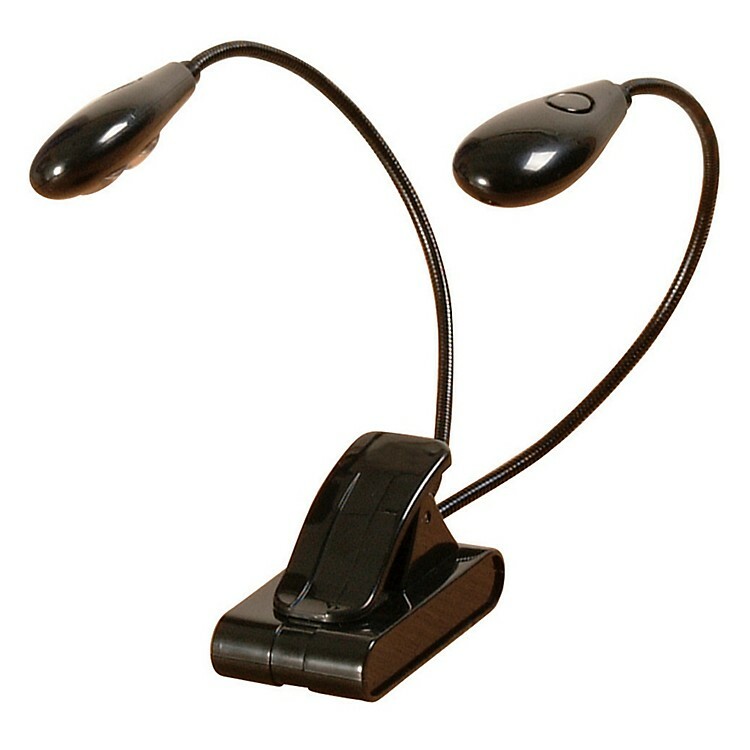 Each of the gooseneck-mounted lamp heads features a pair of high intensity white LEDs. A 3-way switch on each lamp head lets you choose 2 LEDs, 1 LED, or Off to suit your personal lighting needs while simultaneously controlling spill-over into the audience or other musicians. The strong clip-on design easily attaches to your music stand and the compact base can also sit flat on a desktop! Powered by (3) AAA batteries, the LED204 can illuminate for days without fading. Order today and read that chart like it was a letter from home.